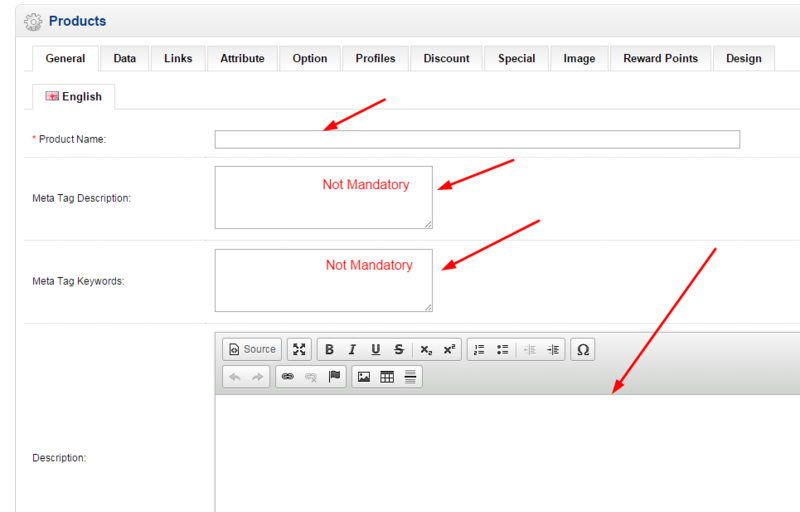 At first go to your website admin panel by putting your site name/admin(like www.myonlineshop.com/admin). Now give your admin username and password and click “Login” button. Now you are in website admin panel. 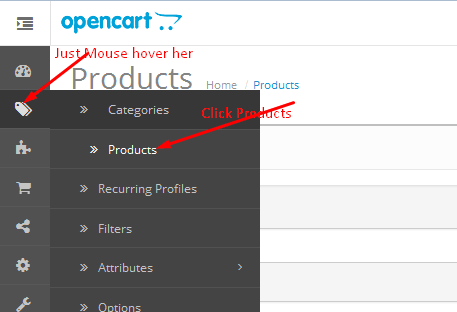 Now mouse over “Catalog” menu and click on “Products” sub menu (This will be for OpenCart 1.5), for Opencart 2 version please see the below image. OpenCart comes with multiple sample products by default. You can take a look at the way they are set in order to get familiar how to add your own, real products. Click on the Insert button at the top-right part of the page. This will open a new page where you add your own products. Here you see multiple tabs like “General”, “Data”. From “General” tab put product name, product meta description, meta tag keyword, product description and product tags. From “Data” tab put model no(mandatory), sku(stock Keeping Unit not mandatory), upc(Universal Product Code not mandatory) and many more just put the require value if you think but please give price, product image, quantity, minimum quantity to buy. From “Link” tab choose manufacturer, categories, related products(if you think) and follow the other given tabs and put values according to your requirements. But those are not mandatory so you can left them. Here is the example of “General” tab. 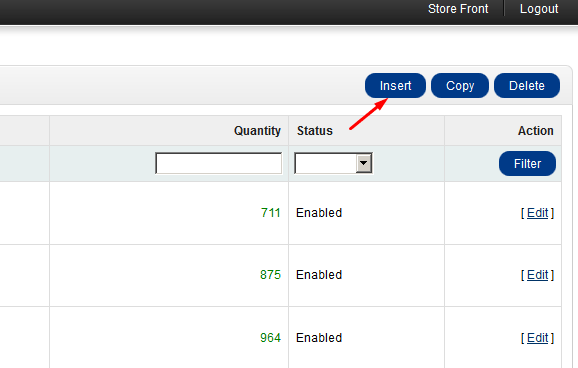 Finally, click on the Save button from top right corner to add your product to your OpenCart store.